Sparkle Me Pink: My First Diamond Candle !! My First Diamond Candle !! Have you seen theses candles before ?? What a fun idea, right ? For those that aren't familiar with these eco-friendly candles, they are called Diamond Candles and are just about the coolest most innovative idea I have seen in a while. These all natural soy candles not only smell fantastic they have a special sparkly surprise inside them. Buried inside every candle is a foil pouch with a real ring worth anywhere from $10, $100, $1,000, or even $5,000 ! Diamond Candles have taken truly taken a normal everyday item and turned it into something extraordinary. The candle I picked out (by process of elimination thanks to all of you on my Facebook page) is in the scent Cupcake. Check out my My First Diamond Candle Ring Reveal !! Let me tell you it seriously smells like sweet, vanilla, buttery, yellow cake mix !! No, really, it smells as though I am baking some sort of delectable confection. But for me the most exciting aspect is the ring. Mine is down a ways so it may take a while but I will be sure to update you guys when the time comes. 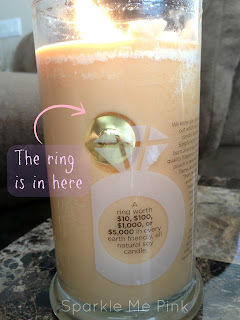 -- Keep an eye out for My Diamond Candle Ring Reveal !! 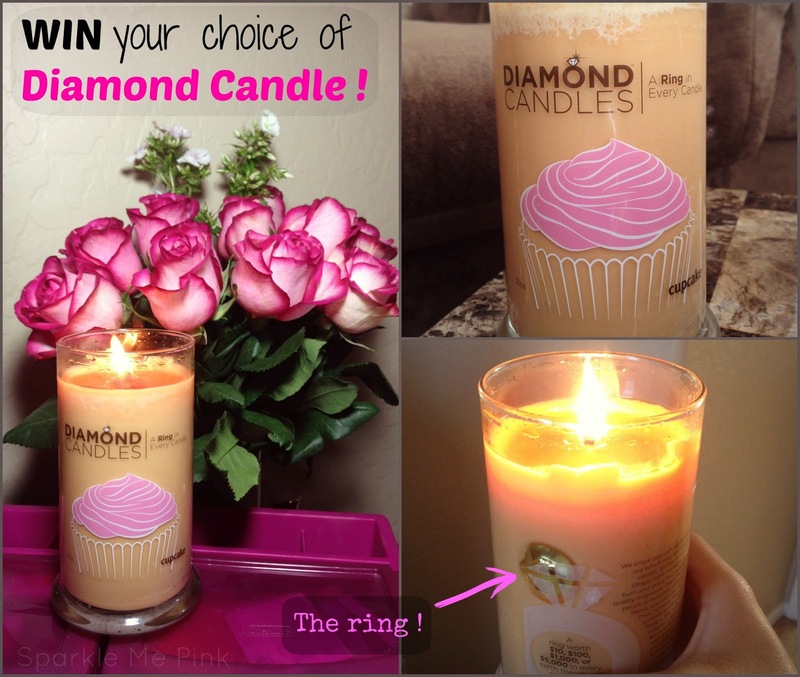 Meanwhile enter the Rafflecopter below for a chance to WIN your own Diamond Candle !! The link to pin this says it is invalid.. I don't know if its just my ipad or not. Just thought I would let you know 😊 Thanks for the giveaway! I love your blog!